Tamarack is coming to five cities across Canada, and we’ve invited along a friend and thought-leader - Australian Citizen Engagement expert Max Hardy - to help you bring new and innovative tools and methods for meaningfully engaging communities and citizens back to your organizations. Join us to strengthen your community engagement practice throughout the lifespan of your project. This unique one-day workshop is designed to help you find and use new approaches to honour and integrate the wisdom of ordinary citizens, and will help you benefit from the knowledge and insight of existing members of your community to solve complex community issues. In addition to master classes, we will offer learners the opportunity to take up to 20 highly practical workshops including four experiential neighbourhood tours. We have chosen to host this gathering in Edmonton, AB which is home to neighbourhood leagues that have existed for nearly 100 years and also the newly formed ABCD neighbourhoods - a highly innovative revitalization strategy. Join changemakers from near and far to deepen your knowledge of the 5 practices needed to move your community change agenda from idea to action to impact. Go deep into one practice area or advance your skills in all five. This workshop will provide an opportunity for you to learn more about the theory and practice behind engaging equity-seeking populations in your community (e.g., rural youth, members of the LGBTQ2+ community, Indigenous communities), identify the community connections and relationships that are required for effective engagement, and share resources and learnings with each other. Through a mix of presentations, interactive exercises, and reflection, you'll learn tangible ways that you can engage these populations in a safe, respectful, and collaborative way. Tamarack hosts a number of free webinars throughout the year featuring the latest ideas and thought-leaders from the field of community change. By registering for a webinar, you can participate live or gain access to the recording and presentation slides and resources after the broadcast. Click on the below links to learn more and register for each of our upcoming webinars. Tamarack's Communities of Practices are small, interactive groups of practitioners who connect monthly or bi-monthly through an online meeting to share their experiences, tools, ideas and challenges in order to learn ways they can grow and expand their work. The sessions are open and relevant to anyone working on a complex social issue. Why Join a Community of Practice? Joining a CoP can help you deepen your knowledge and professional connections around a focused aspect of your work. When you join a CoP, you will have the opportunity to influence the overall learning agenda (i.e. meeting topics) based on your own learning needs and priorities. 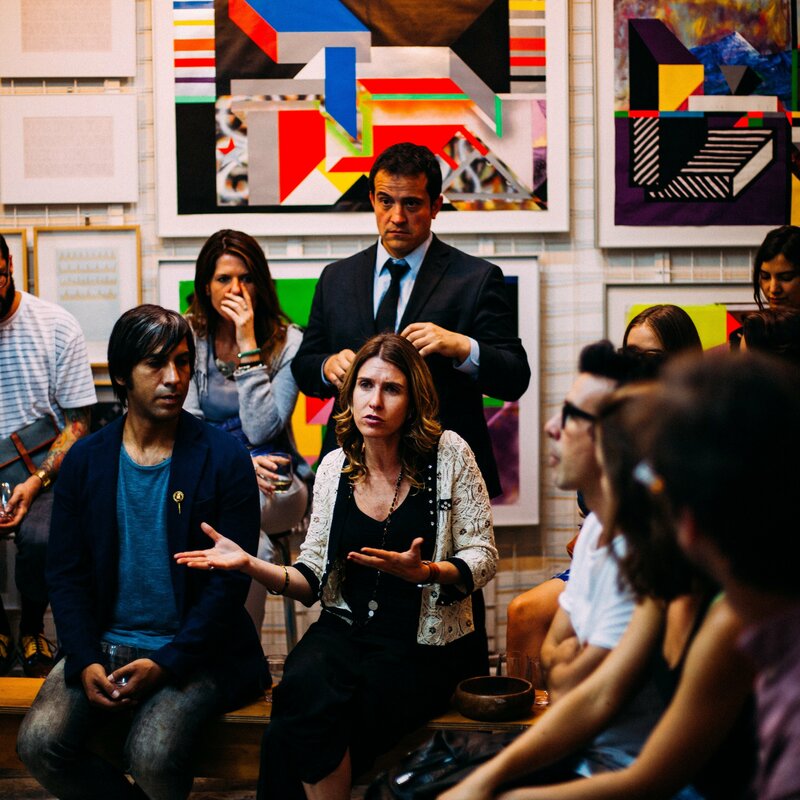 Through actively contributing to the agendas and meeting discussions, you'll be able to access a community of like-minded peers who can help you expand and develop your own thinking and practice as it relates to your work. Review the list below and click on a CoP title that is relevant to you. You will be taken to a page with more information about that CoP as well as the form to register. Review our CoP Frequently Asked Questions page. For individuals who want to dig deeper into evaluation-related strategies, techniques and tools that they can apply to their own poverty reduction efforts. For municipal or regional government staff responsible for, or directly involved in, poverty reduction efforts in their official governmental capacity. For government representatives of all provinces and territories who are responsible for, or directly involved in, poverty reduction efforts in their official governmental capacity. For key staff or volunteers who are actively involved in a living wage campaign or are in the early stages of considering or implementing the living wage in their Canadian community. For BC members to connect, collaborate, and share experiences, best practices and lessons learned pertaining to community-based poverty reduction in BC. For individuals who belong to the Vibrant Communities Canada - Cities Reducing Poverty network to share ideas and information about their local poverty reduction efforts. For the leaders responsible for developing and supporting the implementation of robust neighbourhood strategies, policies and plans. For local Deepening Community partner communities to share highlights from their experiences and dialogue about the impacts of these action-learning projects. For individuals committed to sharing and learning from one another to accelerate their collective understanding of the role of citizens and communities in preparing for emergencies. For individuals who are applying or are seeking to apply an Asset-Based Community Development approach to their work by engaging with helpful tools or resources. "This conference has been an amazing experience! It was interactive and accessible with top notch speakers and presenters and a presence of at least 2 levels of government." "This was the BEST gathering of thinkers and doers that I have been part of in 20 yrs." Tamarack offers a variety of single-day workshops, facilitators, and topics to help your community accelerate their impact. We offer learning related to Collective Impact, Community Engagement, Collaborative Leadership, Community Innovation, and Evaluating Impact.